What are the Top Emerging Trends in Online Higher Education? As distance learning increasingly becomes a popular option among college and university students at both the graduate and undergraduate levels, a number of emerging trends in online higher education continue to develop. These trends are often a response to changes in student needs and improvements to enhance the student experience. Among all of the trends likely to be seen in online programs in higher education, changes in technology and the technology used to deliver course work and material are at the top of the list. Technology changes quickly, and online schools and degree programs are constantly looking for new and better ways to deliver courses to students. 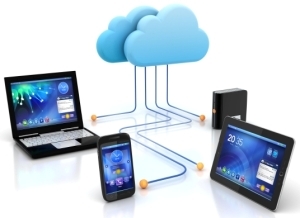 Some of the latest trends include using tablets, virtual and remote laboratories, and cloud technology. Social media is noticeably becoming a part of culture, and the prevalence of this type of communication is increasingly being noticed in classrooms at all levels of education. In response, many curriculum programs and instructors are utilizing social media outlets to not just deliver material but also to hold office hours and offer an additional source of communication with other students to build communities. Additional information on using social media in the classroom can be found in the article “Social Media Made Simple” on the National Education Association website. Podcasting, too, is an emerging trend in online higher education, allowing for curriculum developers and instructors to record lessons and assignment instructions in another way. The ability to disseminate podcasts to students more easily, combined with the personalization of hearing a voice and/or seeing someone, is often well-received by students. Increasingly, online programs in higher education are also attempting to streamline and make things easier for students by delivering all material, particularly textbooks, digitally. This enables students to download to tablets and other mobile devices, having more access and increasing the ability to complete work anywhere and anytime. In response to the desire for students to have more interaction with other students as well as instructors, many online programs are also placing emphasis on collaboration and utilizing collaborative tools in the classroom. This includes other trends such as social media but also the incorporation of wikis, discussion forums, and chat sessions between students within a group and the entire class. Related: Are Study Groups Available to Online College Students? The desire to have some face-to-face contact with others has also increased the number of options for hybrid courses in which students complete the majority of work online but also meet with an instructor and other students at regular intervals. Sometimes the in-person meeting is held once per week, or there could be classes with monthly or quarterly meetings depending on the length of the course. Additional information on hybrid course statistics can be found on The Chronicle of Higher Education. With changes in the expectations of students, faculty, and online course models, more and more online programs are increasing in number. With the number of emerging trends in online higher education, it is likely that these programs will continue to find ways to meet the various needs of a diverse student population.